Phil Knight is well known for his business insights and as the co-founder of one of the most popular shoe brands in the world, Nike Incorporated. He founded this company with his former track coach, Bill Bowerman. He attended the University of Portland to obtain his first degree and the Stanford University for his MBA. He started Nike after his first degree and began by selling and marketing Japanese made athletic shoes from his trunk. Today, the company has grown into a billion-dollar company with Phil Knight donating over $2 billion so far to different causes. 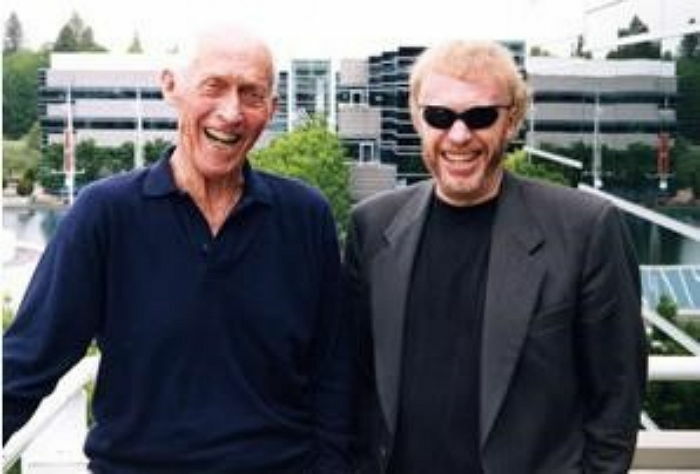 Phil Knight was born Phil Hampson Knight on February 24, 1983. He is of American descent and was born in Oregon, Portland to William and Lota Hatfield Knight. His father was a lawyer turned publisher who he described as heavy-handed yet affectionate. William spurred his son to obtain his own wealth and denied him a job in his former newspaper firm, Oregon Journal. He attended Cleveland High School and is an alumnus of the University of Oregon and Stanford University where he obtained his first degree in journalism in 1959 and his masters’ degree in business in 1962 respectively. While at the University of Oregon, he was a middle-distance runner under the coaching of the legendary Bill Bowerman who later became his business partner. Before Nike, Phil Knight enrolled in the army and served for eight years, spending seven of the eight years in the army reserve. He began Nike when he developed an interest in studying track shoes. He began researching how they were made and marketed the same in the 1950s. His interest led him to write an article titled Can Japanese Sports Shoes Do to German Sports Shoes What Japenese Cameras Did To German Cameras? His mention of German shoes was because, at that time, German shoes such as Addidas and co had the controlling share of athletic shoe market in the US. He went ahead to speak with his former coach about his ideas and together they concluded that German track shoes were inferior, heavy and not suitable for athletes. Having identified a problem, he found ways to solve it and after graduation from Stanford, he went on a tour around the world and made a stop at Japan, where he contracted a company to supply him with track shoes that were superior and more comfortable than what was obtainable in the US markets. The company he met was called Onitsuka Corporation and he was impressed, not just with the superior quality of their products but also by its low price. He started importing and distributing the shoes as soon as he got back to Portland alongside his friend, Bill Bowerman. Their business flourished and gave birth to Blue Ribbon Sports in 1964, and in subsequent years, they opened up shops in Oregon, Eugene, and Santa Monica. However, in 1971, Phil and Bill began having problems with their Japanese suppliers and decided to start their own athlete shoe company and so, Nike was born. The name was born from a suggestion of one of their employees who advised that the company be named after the Greek goddess of victory. The next step was to intensify their marketing strategies, this led Phil to develop acquaintances and relationships with famous athletes who could try and publicize his models. Athletes such as Steve Prefontaine, known for his long-distance race track records wore this new shoe model and caused Nike to record huge earnings as many others patronized Phil’s product. In 1972, Phil released the debut model Cortez, it became an immediate success and by 1981, Nike had taken over one-half of the athlete shoe markets. Like most shoe producing companies, Phil began giving endorsement deals to celebrities such as John McEnroe, Michael Jordan, Andre Agassi, among other famous sportsmen. He expanded in 1990 and began the production of golf, soccer and hockey apparels; a smart move that increased the company’s income significantly. Knight was in the news for other issues other than his success story when he was accused of low payment of his Asian employees. He was dragged by human right groups who also accused his company of sexual molestation and corporate assaults; despite this, the company remained one of the world’s largest shoemaking company. Phil Knight retired as the C.E.O of Nike in 2004 but still retained his position as its Chairman. Currently, Nike has 52 branches all over the world and employs over 74,000 people. Phil is also known for his philanthropic endeavors such as his donation of $105 million to Stanford Business School in 2006, $100 million to the OHSU Cancer Institute in 2008, among others. The business mogul makes a fortune from his gigantic shoe making company Nike and is worth a lot. In 2016, he was estimated to be worth $25.6 billion by Forbes. That figure increased in 2017 to $26.6 billion which made him the 29th richest man in the world and by 2018, he was estimated to be worth $34.7 billion. He is currently the 28th wealthiest man in the world. Phil Knight has no records of divorce and has been married to Penelope Parks since 1968. They have three children; Travis, Christina and Matthew Knight. Travis is an animation actor while Matthew died in a scuba diving accident in 2004. Nothing is known of his daughter, Christina Knight.